The settlement of Christchurch was built on the flood plain of the Waimakariri River. The earliest stopbanks were built in the 1860s. Despite these, Christchurch has sometimes been flooded when heavy rainfall in the mountains has caused the river to rise. 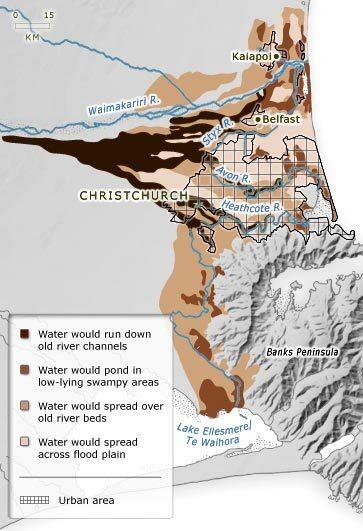 This map shows what would happen in sequence if floodwaters breached the stopbanks.